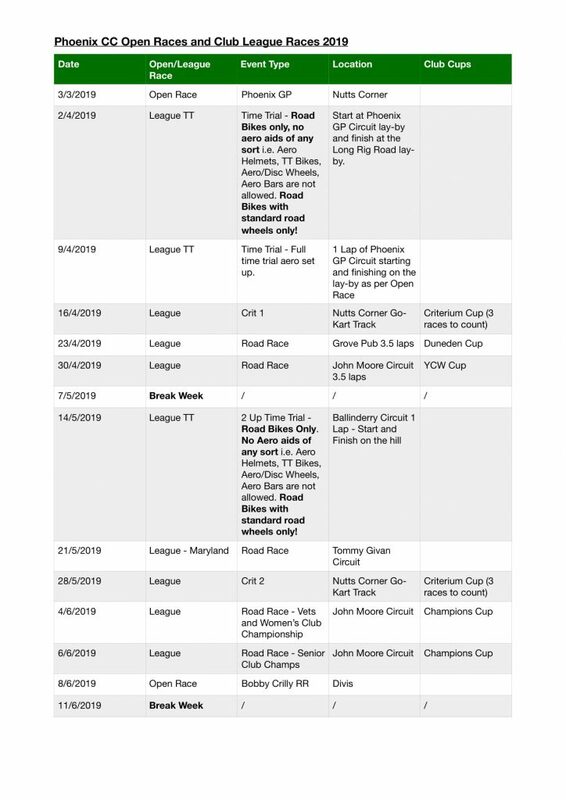 We are pleased to announce another busy Club League and Open Race Calendar for 2019. 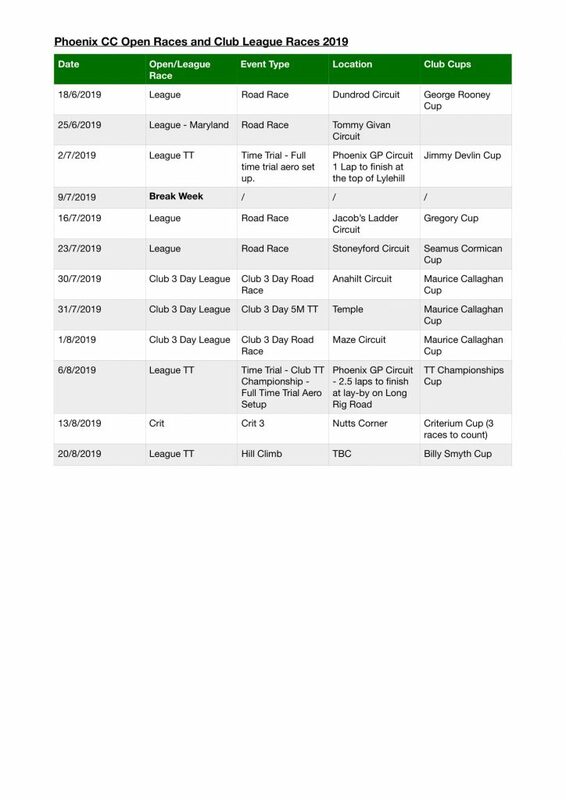 There are a few changes from last year which hopefully will mix things up a bit and add some new challenges. Please see below for full dates and details. Marshall Duty information will follow shortly.